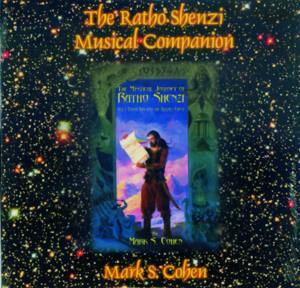 Now you can truly immerse yourself into the world of Ratho Shenzi with The Ratho Shenzi Musical Companion, containing over an hour of original music specially composed by the author to complement and enhance the mood as you read the book. Let the haunting strains of the music transport you to a mysterious world of adventure. It's an interactive experience that soars to new heights as your imagination takes flight on every exciting page!